My first ride was on my dads Royal Enfield, the memory of this is one I will never forget. 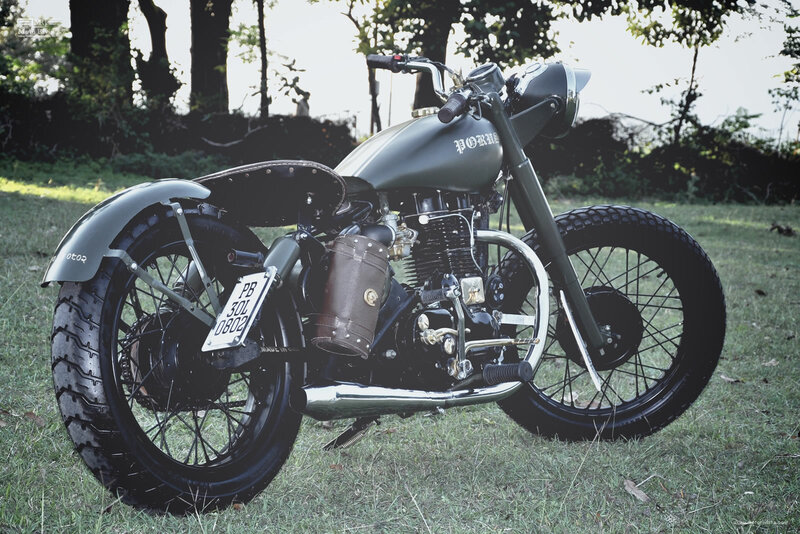 So it is understandable I was stoked to feature today’s build, a Royal Enfield custom aka “Porus” which takes me on a trip down memory lane. Many successful custom motorbike builders have appeared on Moto Rivista with their first attempt, and we have been fortunate to see them grow and improve their skills. 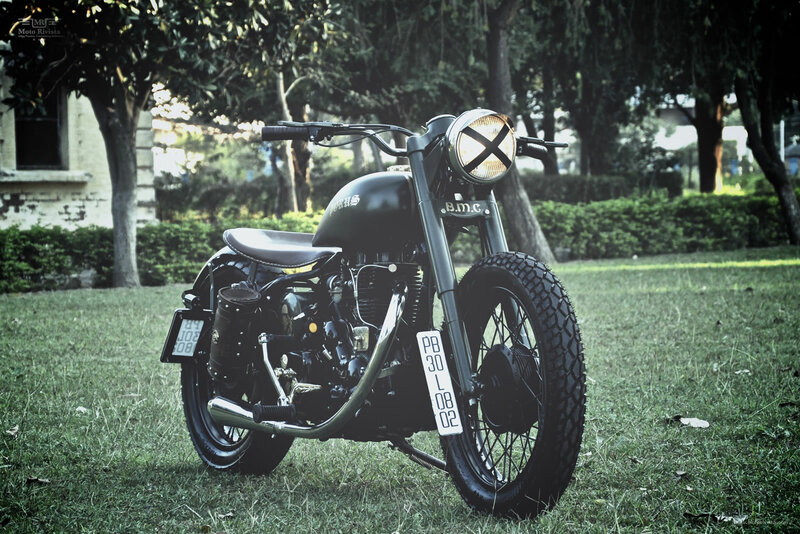 This Royal Enfield custom is the first attempt from Bambukaat MC and is a good start for the guys from India. Shubhendu contacted us to share their story “People tend to talk about things that interest them & we are no different. We are 4 guys, all of us motorcycle enthusiasts. Whenever we would gather up for a “GEDI” (Definition: A leisure stroll or around town on a vehicle (mostly motorbikes) with friends. Usually young boys go for these “gedies” to hoot at girls, but the word is in common usage with both girls and boys) or at someplace, most of our talk was on motorcycling. One day we were discussing the custom motorcycle scene in India & we all stumbled upon the same thought. We should start customizing motorcycles. We were all a bit skeptical about it at first until one of us bought a second hand Royal Enfield, then we knew there’s no turning back. We rented a good small workshop out from the city area. While we were hustling in & about the workshop we still couldn’t come up with a name. 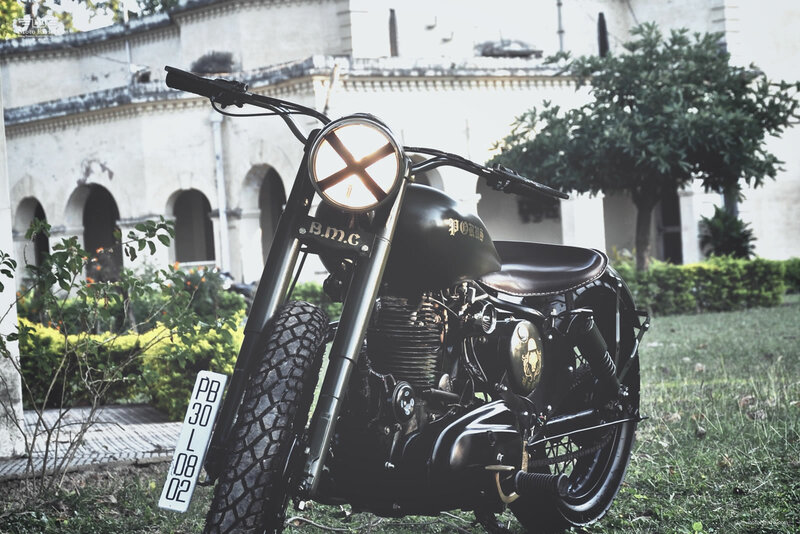 Many different names popped up, but one stood out BAMBUKAAT, an unofficial name from the old days in Punjab that was given to motorcycles because of the simplicity of the machine itself. We wanted to bring that simplicity back in trend. We started working on the design; we all contributed ideas and at last we had it finalized, it was absolutely perfect for the start. In this Royal Enfield custom we’ve removed the stock wheels of 350cc standard. The complete headlight assembly has been changed. We have also extended the swing-arm. The wider custom handlebar features custom handle grips with no electricals on the handle except the horn. All the electrical components have been placed in a custom electrical box. The engine was cleaned and has been fitted with a megaphone exhaust. Other fabrication work includes a custom made fuel tank with 22L fuel capacity, custom rear fender and the brass accessories for a touch of class.